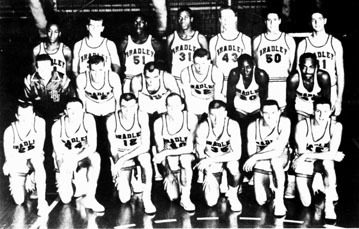 Bradley's 1960 NIT champions join the 1957 team, BU's first team to win the prestigious tournament, in the local Hall. This was the second of Orsborn's three championship teams and it posted an amazing 27-2 record, losing only on the road to Cincinnati and Houston. 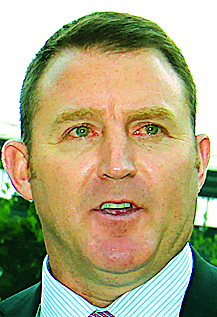 That season marked the debut of all-American and longtime NBA star Chet Walker with Bradley. Walker averaged 21.7 points while Dan Smith, Al Saunders, Mack Herndon, Bobby Joe Mason, Mike Owens, Ed Wodka and Lee Edwards also played key roles. Others on the team included Ted Horwath, Chuck Hewitt, Mickey Tiemann, Bob Ortegel, Larry Mormino, Don Kissock, Ed Kissel, Billy Roecker, Chuck Sash, Ray Mack, Chuck Granby, and Bob Carruthers (manager).